For a third time, Miami commissioners put off a final vote to hike parking rates Oct. 25, while continuing to study increasing rates at city-run marinas. A staff study of possible dockage rate hikes shows the city could make an extra $1.2 million a year at the marinas. Commissioner Joe Carollo – who has been holding up the vote on raising parking rates – has done his own math and indicated he will show how the city-run marinas can bring in even more than an extra $1.2 million. Both parking and marina rates were on the Oct. 25 agenda, parking rates for a vote, marina rates for discussion. When the parking item was called in the afternoon session, it was deferred without discussion. Commissioner Ken Russell made the motion to defer to Nov. 15, saying he wants all five commissioners present when the matter is decided and Commissioner Manolo Reyes was absent in the afternoon. When the commission deferred parking rates on Oct. 11, Mr. Carollo pushed for the delay as he pressured the administration to raise rates at city-run Dinner Key Marina and Miamarina at Bayside. Mr. Carollo cited rate differences at private vs. city marinas. He said private marinas are charging about 50% more for wet slip rentals than city-run marinas, and some have 60% higher rates for larger boats. Mr. Carollo has indicated he’ll vote for higher parking rates after he’s satisfied something is being done to get more money out of city-run marinas. “If you want my vote, I want to see increased rates at the marinas,” he said Oct. 11. Mr. Carollo basically gave the city manager’s office an ultimatum: raise rates at the two city marinas or request proposals for private companies to take over. 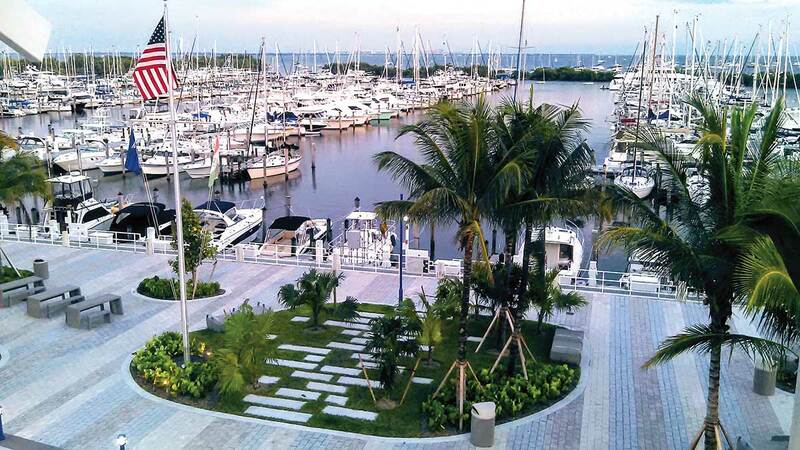 Daniel Rotenberg, head of the Department of Real Estate and Asset Management, said privatization could see the city hire a management company to run the marinas for about 3% or 4% of profits, with the city getting the rest. “I don’t care … as long as we get top dollar,” Mr. Carollo said then. This is part of his continuing narrative, preaching that the city must do all it can to bring in new revenue in the face of growing costs and unknown financial burdens like labor contracts and lawsuit judgments. The meeting day Oct. 25 stretched past 7 p.m., and that’s when the discussion item on marina rates was brought up. Mr. Rotenberg reported on proposed marina rate increases at city-run marinas that would bring in an additional $1.2 million in revenue, excluding utilities. The proposed parking rate increases, the first in nearly a decade, were recommended for approval in late July by the city’s Off-Street Parking Board and the Miami Parking Authority. On Sept. 13, commissioners demanded that city residents not face the higher parking rates, and the proposal was amended. For most on-street parking, the rate would rise from $1.75 an hour to $3. Many monthly permits would jump from $70 to $90. If approved, the new rates would kick in Jan. 1. Dinner Key marina was trashed by Hurricane Irma (Sept 10 2017). Now over 13 months later, not one repair has been started. Broken and unsafe finger piers, no electricity on most slips, no sewage pump out, incompetent staff. The rates are considerably higher than what the county charges for its wet slips. And now a proposal from [Commissioner Joe Carollo} to raise rates by 50%. How can he compare the City rates to private marinas? All the private marinas were fixed months ago. Yet the City continues to charge current tenants full fare. Mr Carollo certainly has not been to Dinner Key Marina in over a year. The Marina is still in disrepair after the 2017 hurricane. Yes, 2017! So for this person to even suggest a major increase, is laughable.